We had an extra bank holiday on Monday which you don’t get in the UK. To celebrate the Queen’s official birthday in June, we get a day off. It’s not just because it was a special birthday this year – we always get one. It also marked the beginning of summer hours at school. On Tuesday the little Postcards finished at lunchtime and will continue to do so until term ends in four weeks’ time – that means my crafting time has been severely depleted but the plus side is I don’t need to make any more packed lunches until September! The invisible zip is IN. I’m really enjoying making this skirt, firstly because it’s to be worn at two family weddings next year (nice occasions which are a long way off – so no pressure) and the fabric’s so easy to sew. It’s crisp and the seams look so neat plus it doesn’t fray. 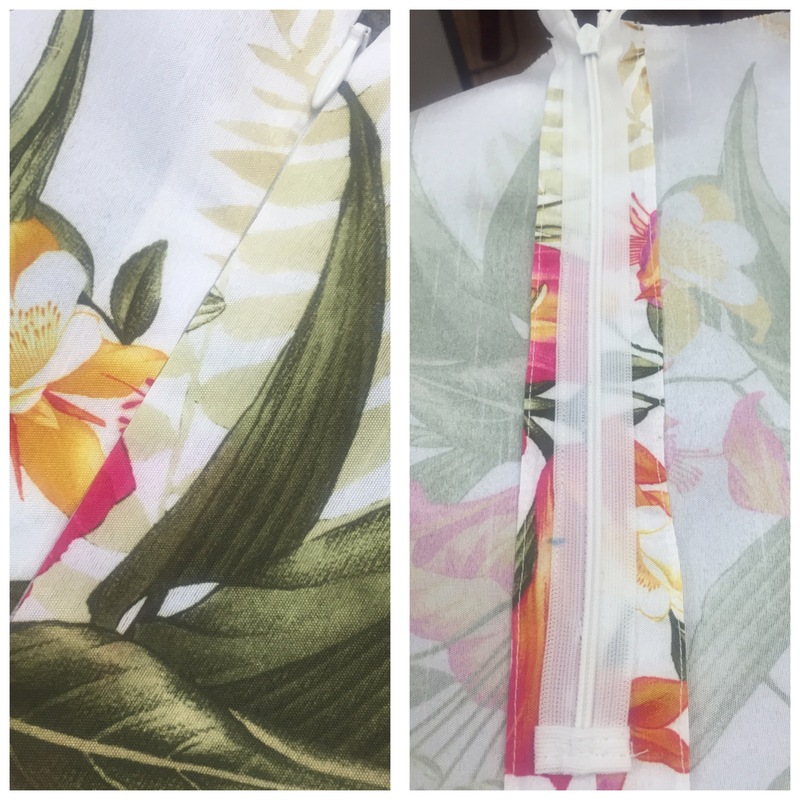 The lining on the other hand…. the less said about that the better!! You may remember a few months back I hooked up some woolly hearts and sent them to a lovely lady known as @bonnies_little_crafts on Instagram. She lives in the town of Skipton which plays host to the Yarndale festival each September. 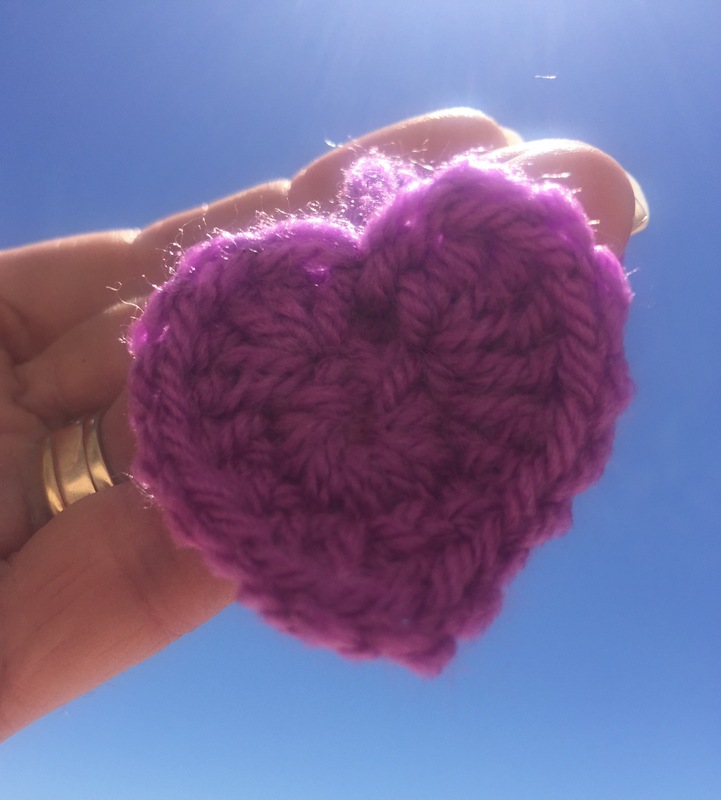 This year she has set herself (and anyone else who wants to get involved) the task of crocheting 7000 little woolly hearts to give away to visitors to her home town when they attend the yarny festival this year. I started my second stash this week while the little Postcards were splashing about in the pool. Thursday saw an historic moment in Gibraltar’s history, David Cameron became the first serving Prime Minister to visit since Harold Wilson. Sadly a huge rally which had been planned to raise the issues facing Gibraltar with regards to the EU Referendum had to be cancelled following the horrific events in Leeds which led to the death of mother and MP, Jo Cox. Security was extremely tight around town for the few hours he spent on the Rock with police officers stationed on most road junctions. 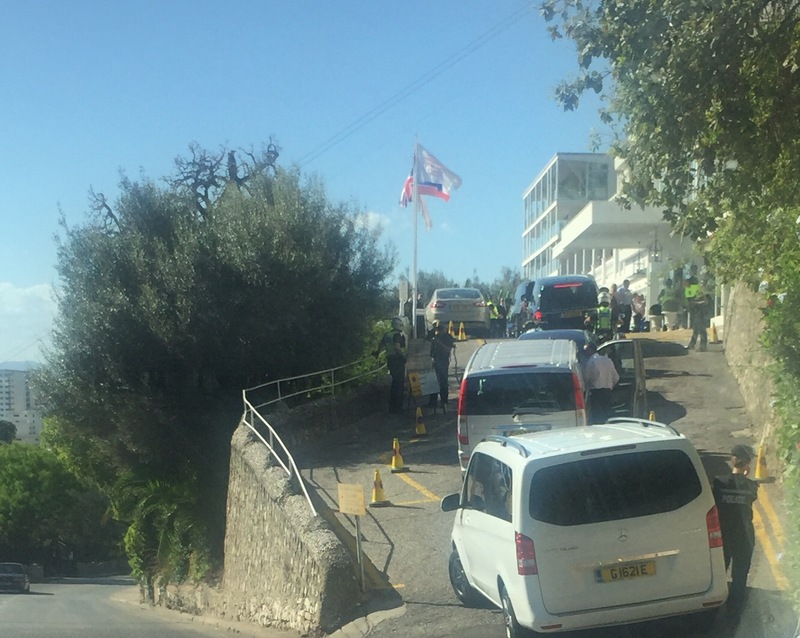 This was the scene outside the Rock Hotel where the PM held talks with the Chief Minister of Gibraltar, Fabian Picardo and other local politicians. I never knew there were so many machine guns in Gibraltar before this! 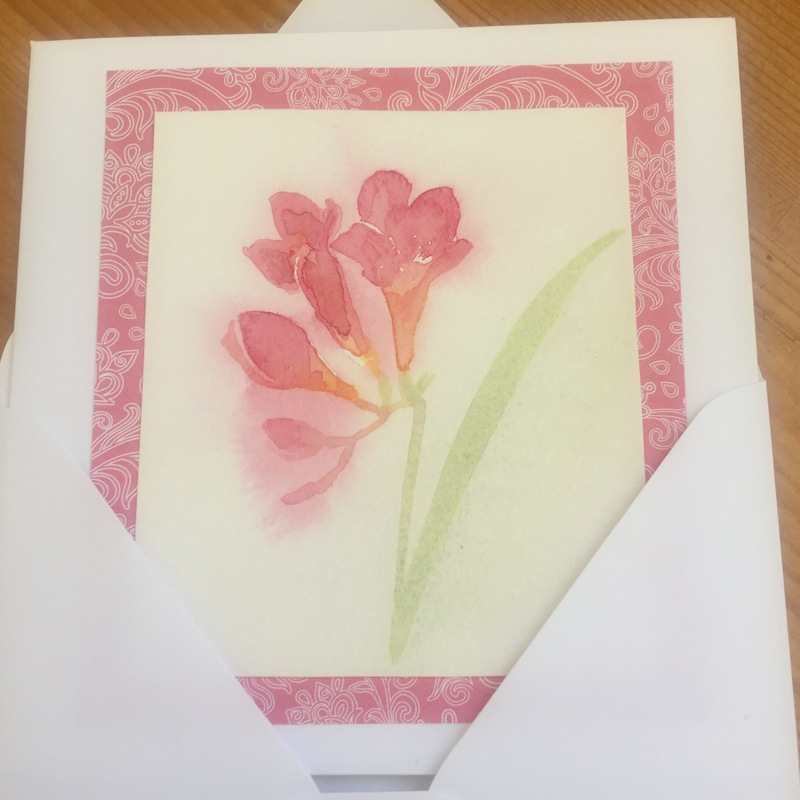 It has been ages since I got my paints out and I had a spare few minutes on Friday before picking the boys up from school, so had a go at a few more freesias. This is going on a special birthday card for a very special lady. On Friday I did something I’ve been looking forward to for ages, I got on a plane on my own and came to visit my Mum and Dad. I’ve not been back to England since August last year and I’ve really missed seeing my family. The trip had been on the cards since January but kept being put back for various reasons. Finally the day arrived. It was worth the wait! It also coincided with Father’s Day. I am able to spend it with my Dad for the first time in years. Nothing says home to me like my Dad’s aquarium. It’s been bubbling away in the my parents’ dining room since before I sat at the dining table studying for my A-Levels. 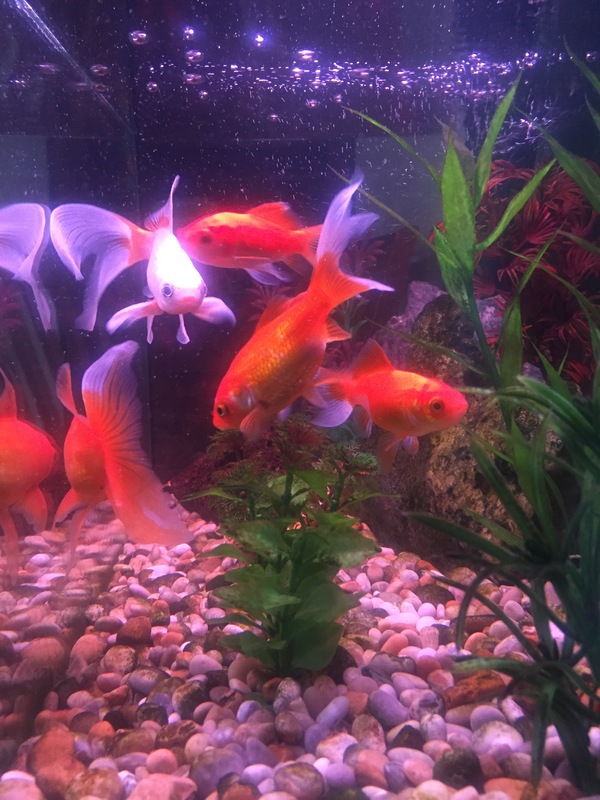 Once home to tropical fish and beautiful blue striped Neon Tetras (my favourites) these lovely goldfish are now in residence. The noise of the pump has been a constant soundtrack to mealtimes back in my childhood home. Wherever you are this Father’s Day, I hope it is a happy one for you. 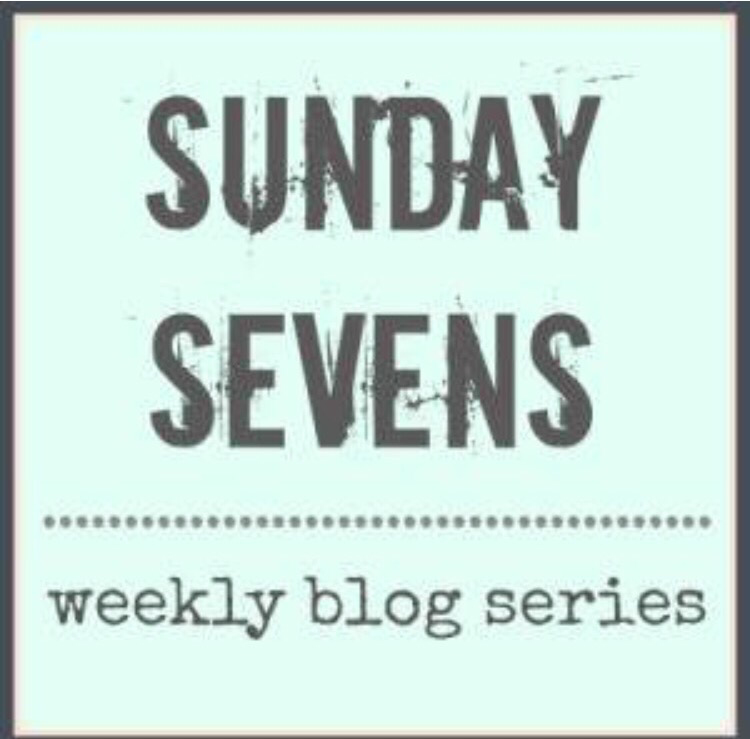 Sunday Sevens is a weekly blog series devised by Natalie at Threads & Bobbins blog. Hope you are having a lovely Father’s Day with your family in England. Safe journey back. Happy fathers day. Bet you are missing the sunshine! 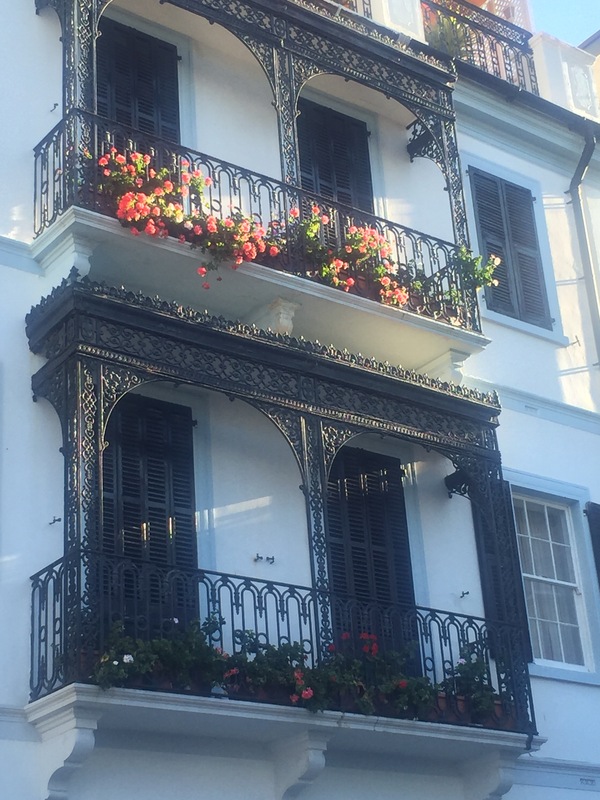 Hehe I’m going back to the sun tomorrow and it has shone here a little, but it’s the people not the weather I’ve come for and that part’s been fab! It has been quite a week hasn’t it? Birstall is certainly on the map at the moment but for such tragic reasons. The fish may be a Yorkshire thing but I’m from and visiting the other side of the Pennines! Please don’t hold it against me 😉 work commitments meant we spent time living in your neck of the woods but I’m a Mancunian :-). I’m chuffed with the skirt, I’m itching to get back to class and to make more progress this week. You can’t beat neon tetras!! It’s lovely that you are able to look back at happy times with your Dad on Father’s Day. I am so happy I got the chance to spend such a lovely weekend with mine. We really don’t see enough of each other being so far away. 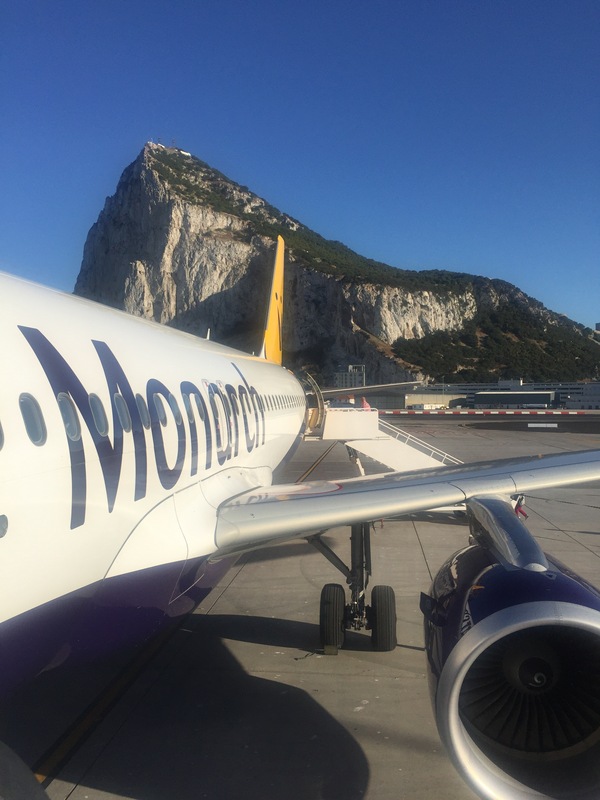 On the whole in Gibraltar the police don’t carry guns, although armed police do patrol certain areas from time to time, the airport, the Governor’s residence etc. the amount on show last Thursday were way more than the norm. The vast majority of police officers here are unarmed like in the UK.